Remember that Indiana Jones-inspired outfit from The Secret World’s Issue #6? Today is a great day to dust it off and slip it on because Issue #14’s release returns us to the tomb-raiding life, complete with temples and doom! Called Call of the Nameless, this newest adventure not only returns to Egypt but returns to the epic self-contained story line style found in Issues #5 through 7. 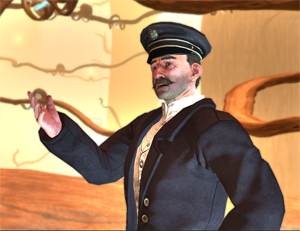 There is little argument that those issues are some of the best storytelling in TSW and encapsulate the heart of the game, and it is precisely this that Game Director Romain Amiel wanted to return to. So how does Call of the Nameless measure up to to the likes of The Vanishing of Tyler Freeborn? Is it dark? Oh, yes — it is quite literally dark. Does it have story? Yes — it even has a literal story. Although I haven’t experienced the full thing (that’s saved for my OPTV stream series starting tonight at 9:00 p.m. EDT! ), I did get a decent taste of the story, the atmosphere, and the mechanics during yesterday’s tour with Amiel and Community Manager Andy Benditt. And yes, I am hungry for more. Read on for my impressions of Issue #14 before it launches today, sans significant spoilers. Like the other three issues it is modeled after, #14 is one continuous story apart from the main story line that is introduced and resolved during the mission chain. One difference is that this time, the story is based on an actual story that will even be read at some point. The theme of Call of the Nameless is loosely based on Arabian Nights (called One Thousand and One Nights in its original form), and more particularly the story of Aladdin contained within it. Of course, this story has a special Secret World spin to it; instead of a retelling of the story itself, players get to delve into the history that brought the story about. Amiel called this issue one of the longest, estimating it would take players 30-40 minutes just to work their way through the pyramid on their first run. In total, there are six missions in the chain, starting and ending with investigation missions, and five side missions, one in every mission except for the final one. There are also six achievements, including the hidden ones, and two cosmetic items that can be obtained from the achievements. While I can’t discuss much of the story at all without giving too many spoilers (heck, I’m even sad I had to have some spoilers just in the tour instead of discovering it all myself), I can give you some impressions along with a few tidbits of info. To start, I will say that I absolutely loved the quote, “You are such a mud doll.” I’ve been called many things in my TSW travels, and that is a new one! Yes, it is spoken with as much disdain as you might think, by one who would like nothing more than your demise. Although I skipped around, watching various cut scenes and even seeing the ending, what I have experienced gives me the feeling that this issue captures some of the essence of the most beloved issues. Even though Egypt is known as the brightest of all the zones, the issue is sufficiently dark — in some cases quite literally. The pyramid relies quite a bit on atmosphere to give you the creeps as you creep along. I am very grateful that I only experienced a short part of the pyramid and labyrinth before the tour moved on ahead so I could savor it more fully on my own time. The story also has some of those darker undercurrents and twists that give that special TSW-flair to well-known folklore and tales. Knowing that the story relates to the tale of Aladdin, you can guess that there are genies — or more appropriately, Djinn — involved. You know how much they like humans (NOT! ), and now you get to learn some history about them, their relationship to Gaia, and how it all intertwines with a popular tale. There are puzzles to solve, but they shouldn’t leave those who hate puzzles with a passion overly frustrated. It’s set up so that players will actually encounter an easier puzzle to learn the mechanic before being faced with the more elaborate version. Also, if you already completed Issue #6, some of them are very reminiscent of the puzzles you already solved there. 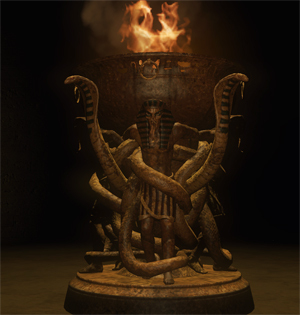 Your memory about the lore and locations of Egypt in-game is also tested a bit. Speaking of puzzles, a new mechanic is introduced: the investigation fight. I can’t tell you much more than that; although I experienced it briefly, I didn’t have the chance to solve it yet myself. Besides, I was sworn to secrecy so I didn’t spoil it! I can say it will be a memorable boss fight and will shed some light on the story of a figure players have encountered previously. Back on the topic of locations: While you have a trap-infested labyrinth to work your way through (and likely get lost in — it has walls that move depending on your actions), moving through City of the Sun God is actually actually less of a maze. Thanks to a slight redesign of the environment, from better passes to new cultist encampments, the lay of the land is easier to navigate for everyone, regardless if they purchase the issue or not. 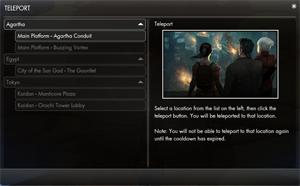 The other bit that is available to all players besides the CotSG revamp is the new portal interface, which removes portal items from the inventory and gives a window to select destination. Besides a return to the self-contained spooky story, I really like that Call of the Nameless can be enjoyed by any player without needing previous issues. As in the other one-offs, players should be in Quality Level 10.0 gear, but even that isn’t required. In fact, the final boss encounter doesn’t even take gear into account; it focuses solely on build and how you use your skills. You need only get the issue and try to trudge through it without any other prerequisites other than owning the base game itself. The issue is also balanced for solo play, although a group can do it together, including the final boss fight. What else do I really like? It has many legs and scurries around after you! If you are a pet collector as I am, you will find the collector’s edition hard to resist. The scarab, which randomly changes between red, black and brown each time you call it, is the most adorable little flesh-ripping beetle. Of course, the Arabian-style outfit is also included. As the tour wrapped up, I tried to get Amiel to spill something about where Issue #15 will go, but he wouldn’t divulge anything. He said only that there’s another story he really wants to tell, but whether it will be now or if the next issue goes into season 2 of the main story is still undecided. Ah well, so we don’t know where we go next, but we can jump in and enjoy this adventure today. And that’s exactly what I plan to do! Xyggy Mostly the same. You don’t respec – you keep gaining skill ranks and abilities. Always loved the story telling and creepy atmosphere of TSW, but the combat system killed the game for me ( I got past Egypt, but between Egypt and the combat system, I couldn’t take anymore). It’s been a couple of years since I logged in, but I am itching to come back and check it out. So, big question – is the combat system still the same and is there a way to respec a character? korsobar Super helpful in the blue mountains’ nonsense combination of maze-like mountain paths + ak’ab totems slowing you everywhere. kimowar ihatevnecks Oh I’m not concerned about having enough credits for this issue, I’ve only done a few of the past issues so I’m not rushing to buy this one. I’m just irritated I wasted those credits on 3-day AP/SP boosts when I got probably 12 hours of use out of them. Those things are clearly a trap since they count down while you’re offline; better off just buying in 2-hour increments. SwobyJ MJ Guthrie No need or point in doing Tokyo before this! I have been playing this game a bit after a very long break. For anyone who might be in the same situation, one thing that they changed that really makes the game a lot better is that you can now teleport to the anima wells once you find them. That makes things go much, much quicker with less tedious clearing of mobs to get to mission givers. Wish I wouldn’t have wasted credits on the multi-day AP and SP potions over the bonus AP event, didn’t have nearly as much time to play as I’d hoped. All those wasted hours counted down while offline. Looking forwards to this one! ThirteenBlackbirds tylercles Greaterdivinity Well, I can’t find the post, but I remember it quite clearly. I was very surprised because it does feel so much like there was originally meant to be three zones. It’s remotely possible we could both be right. If the third zone was cut very early in development, with no substantive work done on it, then I could see one of the other devs having forgotten about it and then, years later, saying it never existed.